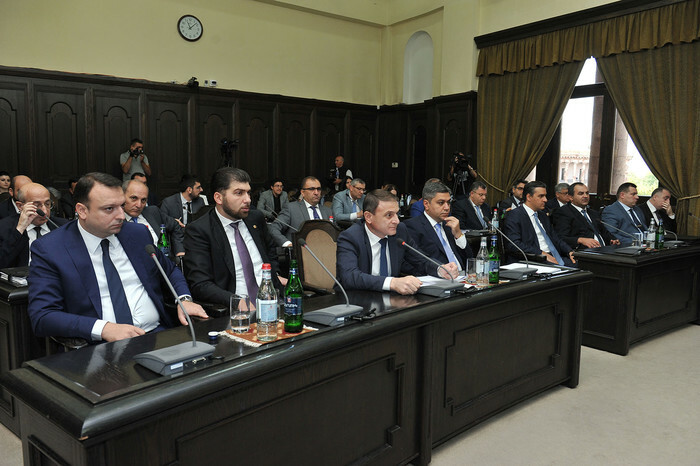 A Cabinet meeting was held today, chaired by First Deputy Prime Minister Ararat Mirzoyan. 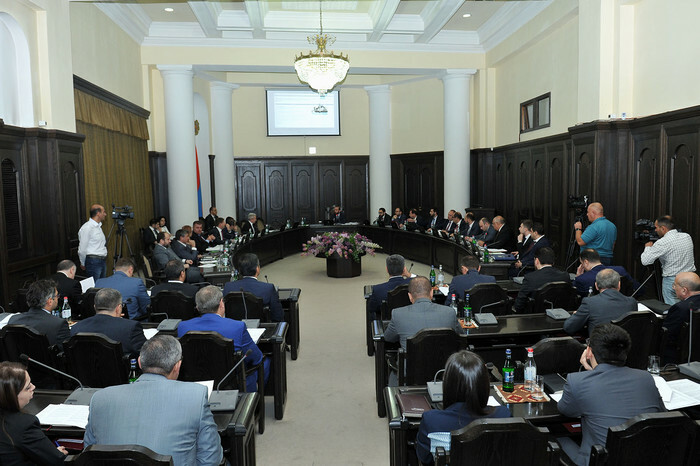 The meeting first discussed and approved the government’s legislative initiative on the 2019 State budget bill of the Republic of Armenia. Accordingly, the consolidated budget revenue is estimated at 1.533.7 billion drams (less inter-budgetary transfers), expenditures - 1.685.3 billion drams (without inter-budgetary transfers), and the deficit at 151.6 billion drams in 2019. The community budget revenues are estimated at 138.9 billion drams (inclusive of the official grants provided from the State budget), with the expenditures rising to 138.9 billion drams. 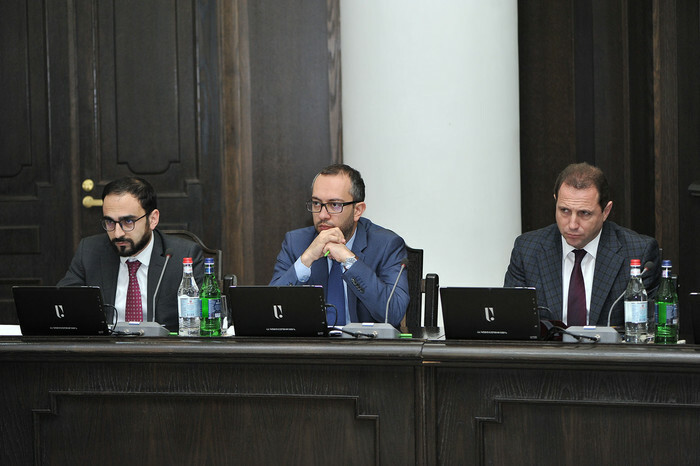 The bill provides that while making decisions on monetary-credit policy within its jurisdiction as prescribed by law, the Central Bank of Armenia (CBA) shall be guided by 4 +/- 1.5 percentage points of 12-month inflation target. The Government decided to provide funds to regional administrations in Armavir, Lori, Shirak and Tavush marzes as part of the funds allocated for tackling priority problems in the regions. In particular, a drinking water pump and engine procurement program for Talvorik community (Armavir Marz) has been presented, owing to which all 50 households will enjoy undisrupted water supply. The following priority programs were approved during the meeting: a co-financing project for the repairs of Secondary School N8 in Spitak (Lori Marz), and the provision of agricultural equipment to Itsakar community (Tavush Marz). In accordance with another decision, funds shall be made available to regional administrations in Aragatsotn, Ararat, Gegharkunik, Kotayk, Shirak, Syunik and Tavush marzes of Armenia which face a number of problems in the fields of school construction, cultural and preschool institutions, housing and road construction, water supply, irrigation, etc. 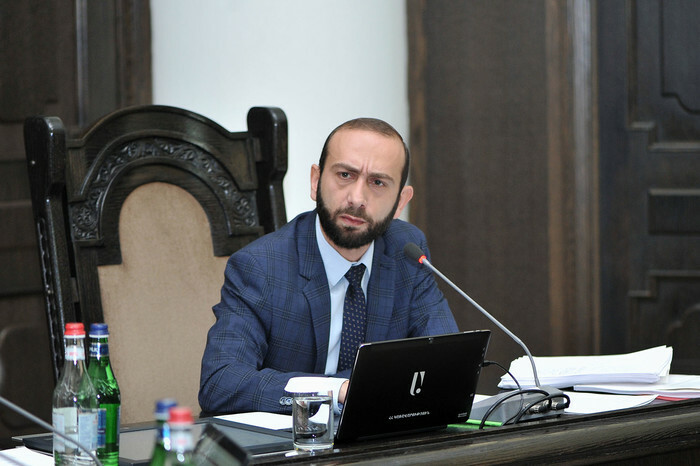 Ararat Mirzoyan noted that priority is given to infrastructure-related programs that are supposed to lead to the development of communities.